For the second season in a row, Hope College’s Winton Munch has earned men’s golf Most Valuable Player honors in the Michigan Intercollegiate Athletic Association. Munch, who was the season medalist with an average round of 73.9, headlined this year’s All-MIAA men’s golf team that was announced at the conclusion of Tuesday’s final season Jamboree, in which Hope claimed the season championship. Munch is the third Hope golfer to be MIAA medalist and MIAA MVP in consecutive seasons. He follows Steven Strock (2008-09) and Eric Wohlfield (1998-99). 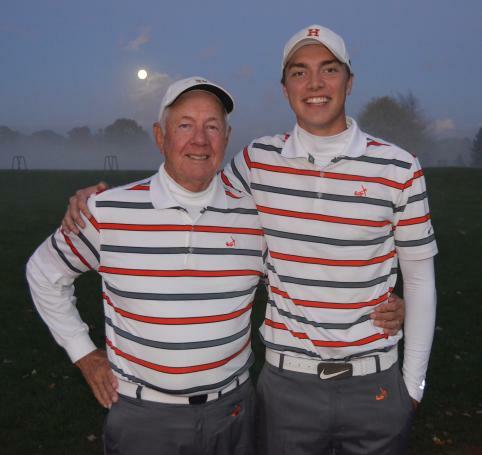 It is the 22nd time all-time a Hope golfer has been MIAA medalist and the 18th time a Hope golfer has been league MVP. The Flying Dutchmen placed three players on the first team, while Trine, Adrian and Calvin each had one. Jack Ridl, professor emeritus of English at Hope College, has been presented a Community Literacy Award in the area of Talent. The distinctive moldings that adorned Nykerk Hall of Music were recently removed, but they are neither gone nor forgotten. The community-wide Big Read Holland Area program coordinated through Hope College and focusing on the book “To Kill a Mockingbird” during November will include lectures providing history and perspective, two free film showings, a musical performance, art workshops and multiple opportunities to join small-group discussions of the classic, Pulitzer Prize-winning novel.